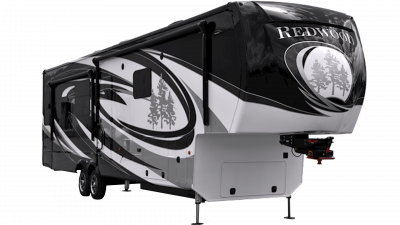 As a trusted dealer for Redwood, we offer a great selection of Redwood RVs. Feel free to contact our sales staff for a wide range of options. We carry the best brands, but if you are looking for a particular brand and model that we don't carry, our sales staff can direct you to one of our other affiliate dealerships to get you exactly what you're looking for. You will not regret giving us the opportunity to serve you. At All Seasons RV, we are proud to provide our customers with a full inventory of Redwood RVs. We carry both of the two Redwood brands, the Redwood and Sequoia fifth wheels. Redwood was created in 2010 with the mission of making residential vehicles, not recreational vehicles. The company’s purpose since then has been to provide baby boomer generations with luxury fifth wheels at prices that make the affordable and attainable. Redwood understands the value of luxury, but it also understands that to be of quality that luxury must be built on top of a reliable foundation and durable structure. Because of their commitment to quality and aesthetics, their RVs are built to both last and to impress. We offer a full lineup of Redwood RVs to ensure that our customers have the best selection of top name-brand RVs available. For optimal comfort and amazing features, consider a lovely Sequoia fifth wheel. For the ultimate in luxury and style, check out the feature-packed Redwood fifth wheel. With convenient custom orders, we make it easy to tailor your trailer to fit your unique wants and wishes! If you’re ready to experience the thrill of the open road in a Redwood RV, give us a call and let us make it easy to connect you with the unit you’ve been searching for!